Beyond the Cloud: Stratosphere | Hi. I'm Sam Bruzzese. 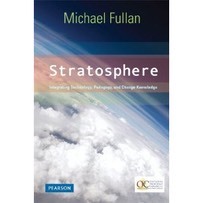 Just re-reading Michael Fullan's new book "Stratosphere" (Pearson Press) where he finally tackles technology in schools. Fullan is a recognized world leader on large scale school reform and leadership (e.g. Motion Leadership in Action). "It is ironic that we fingered technology as a wrong driver, and now we are touting it as part of a breakthrough solution. The consistency is that pedagogy is the driver, but one wonders now that technology is becoming supercharged whether it might take an equal place. The important thing is that technology and pedagogy be integrated…[we] will examine why and how teachers and students can partner for learning with technology as a powerful accelerator". What I like about the book is that Fullan tries to bring the three separate silos of pedagogy (curriculum), change knowledge (educational reform), and technology. He is a 'non-techie' and I think that this makes his message that much more powerful. I hope that the teachers/school administrators/superintendents who often ignore us (i.e. 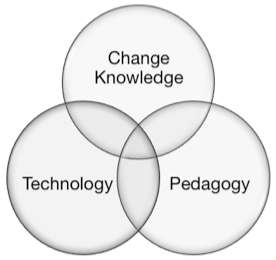 'the educational technologists') will have a harder time ignoring Fullan. I am curious to see what the typical 'non-techie' school leader/superintendent does with Fullan's suggestions and recommendations. If you're an educational technology leader nothing Fullan says will surprise you (we've been saying this for years). What will surprise you is the passion with which a world renown authority on education says it's time to bring technology to the forefront in schools. School boards and school districts have always believed in and use Michael Fullan's approach to systemic change. I can only hope that they do the same with his proposals on technology integration. Do you think this book will make a difference?